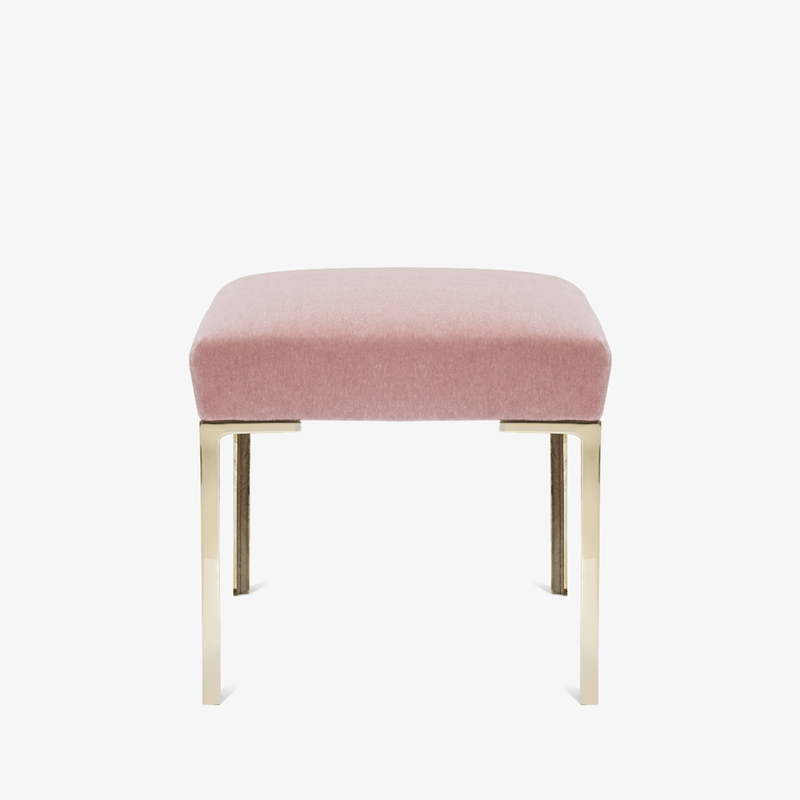 Designed by Montage, the Astor Petite Ottoman is a wonderful addition to a refined interior space. Astor was designed with the delicate proportions of the mid-century, celebrating an era of design that remains ever so popular today. The Astor Collection is designed and manufactured in-house by Montage. Shown in a premium Angora Mohair, soft like a dream, with countless colors to choose from. The brass legs are cast and polished in the USA, a contemporary interpretation of vintage Italian design. Available with a Waterfall (shown), Welted, or Tufted top with fully customizable overall dimensions. These are made to order to ensure the best quality. We have a large fabric library and would be happy to mail swatches of other colors and fabric qualities. 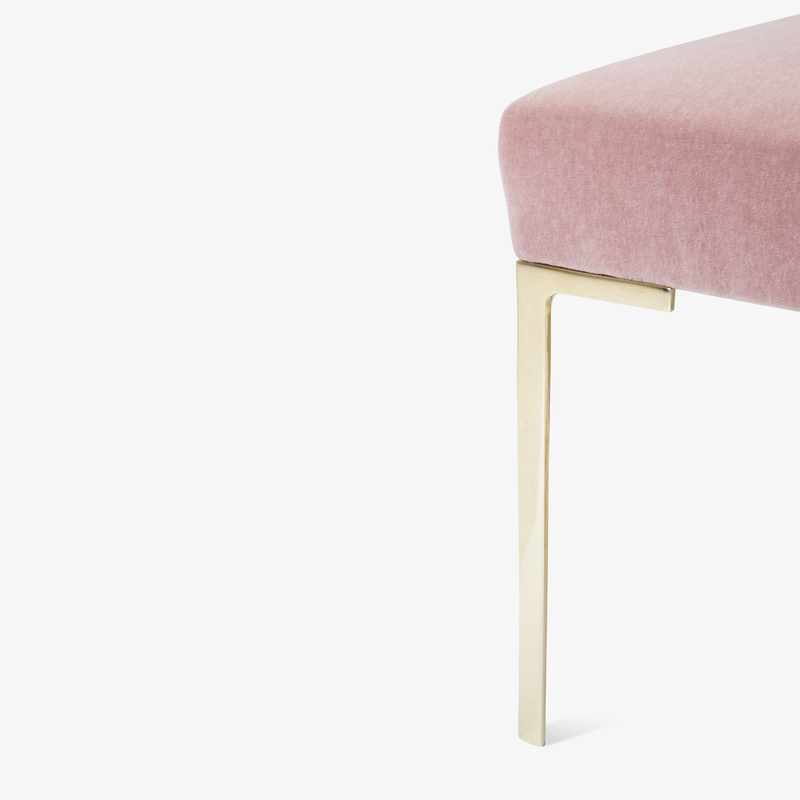 The cast brass legs are also available in a nickel plated variation. We are able to fulfill orders of quantity and custom sizes. Please inquire with any questions, and to request a cutting of the shown color to ensure satisfaction. Thank you for your interest! A member of our team will get back to you ASAP. Sign up to be the first to see our new finds, promotions, & stories.